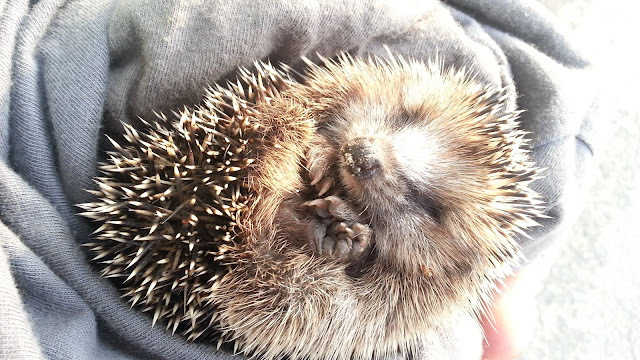 This fall we stopped alongside a busy country side road and saw this little hedgehog headed for the tar. Cars were dashing by and we did not see the slightest chance that he would make a safe transition across. So we picked him up and carried him across the road to the field he was headed for. I hope that he is well and finds a great place to winter.